Since every homeowner and property is different we don’t offer “one size fits all” porch designs. Our approach to porch and screened porch design is hands-on, as we work carefully with you to design and build a custom porch that fits your unique needs and tastes. 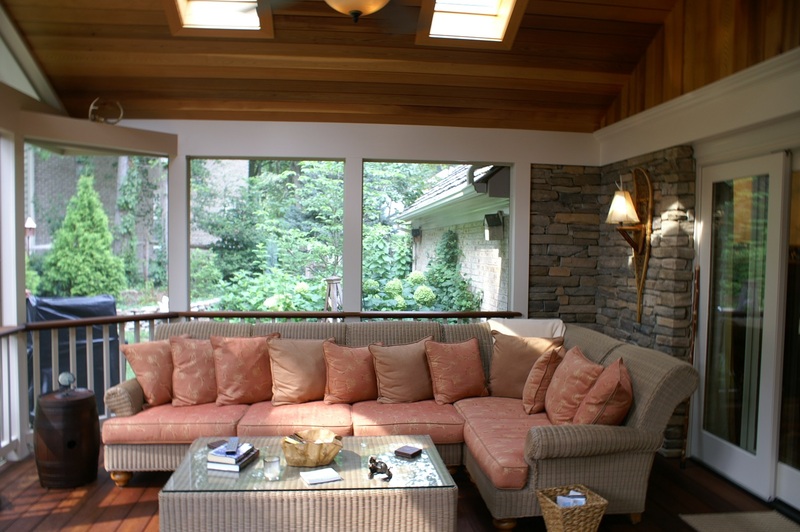 Screened Porches: Gone are the screen porches of yesteryear with boxy shapes and chintzy screens. At Archadeck of Central MD each screen porch is custom designed to blend seamlessly into your home and to fit your personal style. 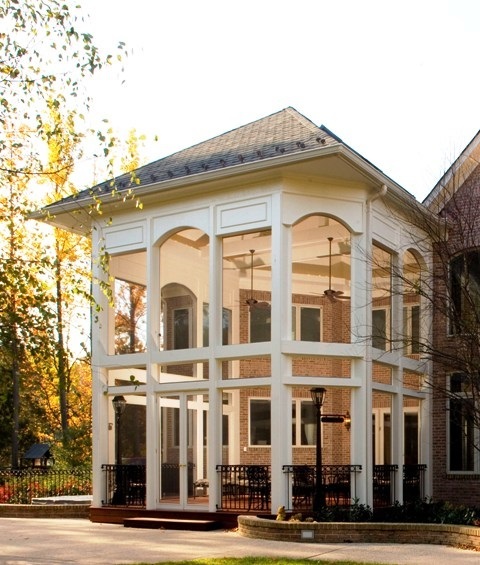 Convertible Porches: We utilize the benefits of the Eze-Breeze convertible window system. With this system, vinyl 3-track windows can easily be closed for wind and temperature protection as well as moisture protection. 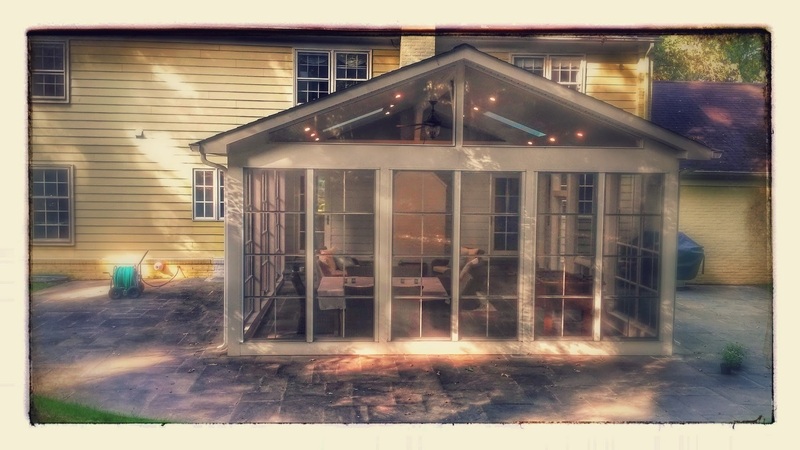 Making your screened porch versatile, beautiful, sturdy and highly functional. Front Porches and Porticos: Want to add curb appeal and function to your home? 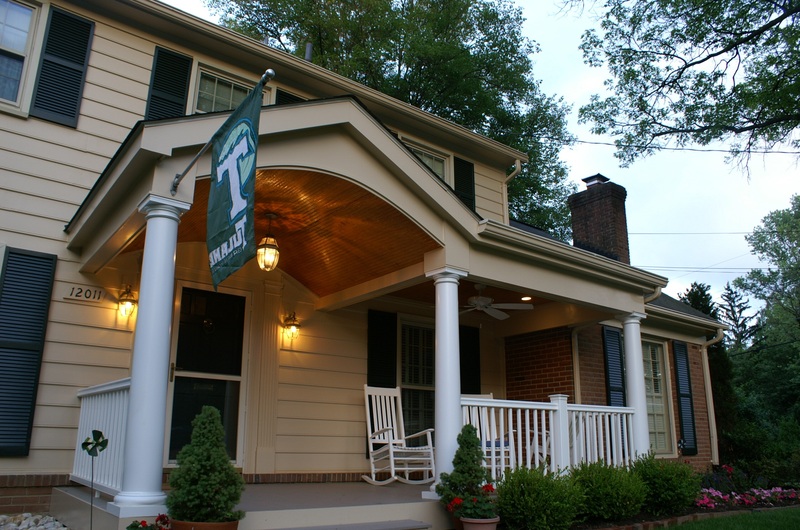 A custom front porch or portico by Archadeck of Central Maryland is the answer. Our unique, upscale entry designs will enhance the entrance of your home and add character to your property. Open/Covered Porches: The appeal of the open porch is becoming more and more popular — whether used as a singular refuge for shade and ambiance, or as an integral part of an outdoor living combination. Our open porch designs incorporate beauty and function while allowing you to enjoy the open breeze. With many different configurations and roof styles to choose from, we can design the perfect “fit” for your home and lifestyle! Not sure what your dream porch looks like? Or where to begin? Persue our extensive porch and screened porch photo galleries to see inspiring examples of past porch projects.